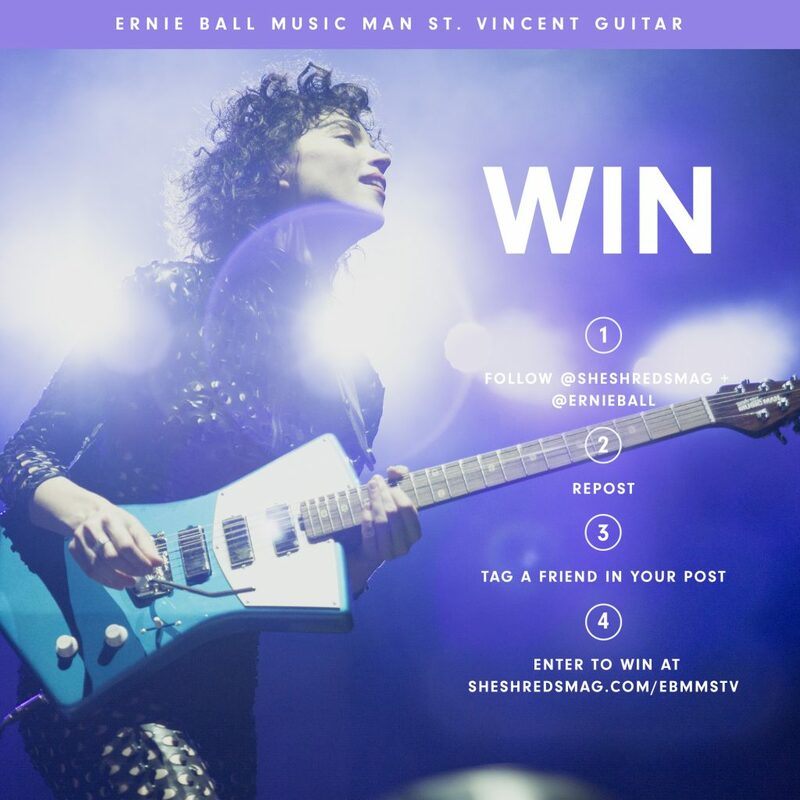 They’re flying off of the shelves, but we’re partnering with our friends at She Shreds Magazine to give you a chance to win your own Ernie Ball Music Man St. Vincent signature guitar! Starting today through Monday, May 3rd, She Shreds will be running an exclusive contest for a chance to win this one-of-a-kind guitar. Head over to their Facebook or Instagram and follow these steps to enter. It’s that easy, good luck to everyone! Also, don’t miss the She Shreds review of the St. Vincent guitar in their latest issue.